Here's a list of my manga purchases for March and April. I bought a lot of stuff...heheh...A lot of the stuff I bought in Japanese I'm evaluating for potential future projects. Click on the ad to see it larger. "2011, Lala Special Editions, Kuro and Shiro (Black and White). It's the time of the year when you want to take of your shoes, stretch out, and start running (free). Within a dazzling light, yet if you lift your head, (there is) an expanding world. Aoi Lala, this summer, a return to your origin. 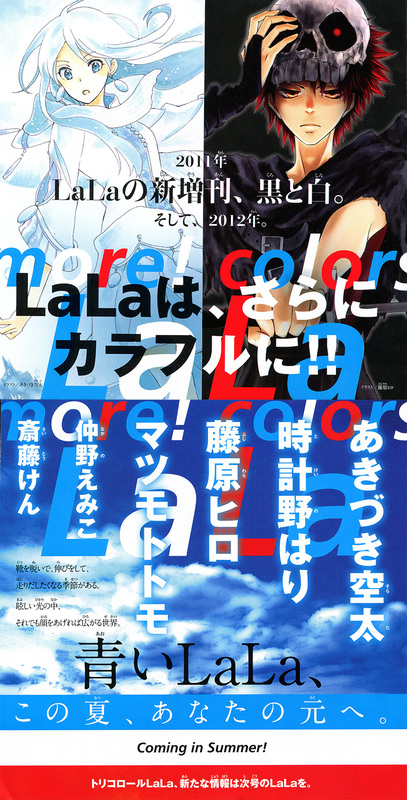 Tri-color Lala, more information in next month's issue of Lala"
Yes, the English you see is part of the ad and not our trickery. And, of course, we will share as much of these special editions as possible. 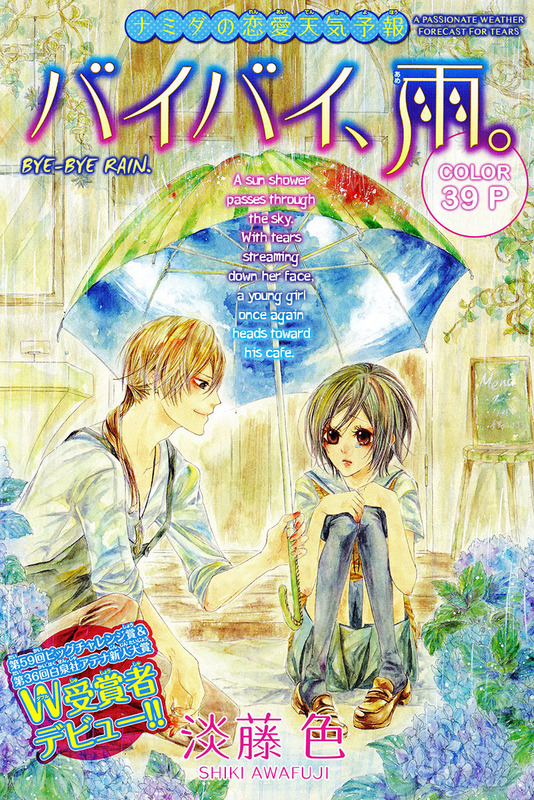 This one-shot is from Hana to Yume magazine so the original image quality is crap. We did the best we could with what we had, but still I apologize that the images are not as crisp as I like them to be (although those of you with iPad 2s and 3s and iPhone 4s's will not see the horror -- those devices make anything look great!). Anyhow, view the PDF at ~65% zoom to get the best image quality. As I wrote earlier, we at Omari's Sister don't particularly like to do projects or work with big age gaps. However, I felt the story and the artwork were too lovely to pass up. I'd like to thank Jade for her lovely translation and Kayori for he wonderful redraws. Great job team! Oh! A translator's note: A "sun shower" is a sudden rain storm on a sunny day -- raining while the sun is still out. Shiki Awafuji is new to us and new to Hakusensha. Due to the loveliness of her language I will be going back to check-out her other 3 works. She was recently published in the latest issue of The Hana to Yume magazine. At last we make a big move in the story! And Nagi's suffering intensifies. Poor, poor Nagi. Hmm...what's Vincent up to? I haven't decided whether he's suspicious or not. So far he seems like a really nice but tragic figure. "Servamp" Chapter 2 is out on Bakeneko's Lair! 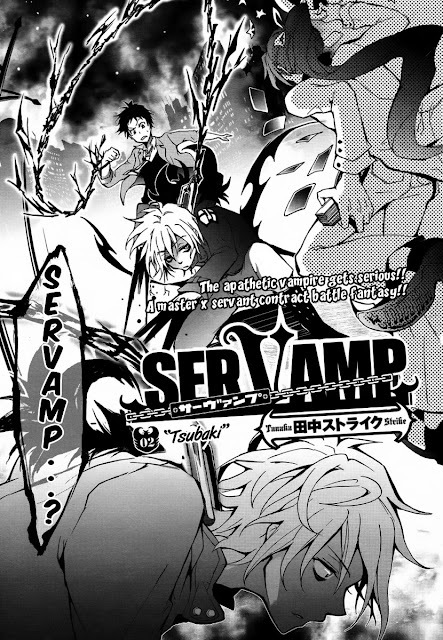 Head on over to Bakeneko's Lair to read the latest from the Comic Gene series, "Servamp". If the first chapter doesn't hook you, I encourage you to read the second chapter. That did it for me! As some of you may know, April was a rough month for me. My new job wasn't going so well which made real life miserable, depressing, tiring and demotivating. I have freed myself of that job and I'm now back on the job market. Hopefully, the next job I accept will be much better. For now, though, I will be getting back on track with Omari's Sister and catching up on our releases. Needless to say, I've regained my spirit and I'm eager to get going on OS activities and a new job search! With the remaining days in April, we will be releasing "Magnolia" Chp 21, "Servamp" Chp 2 on Bakeneko's Lair, and a special one-shot. 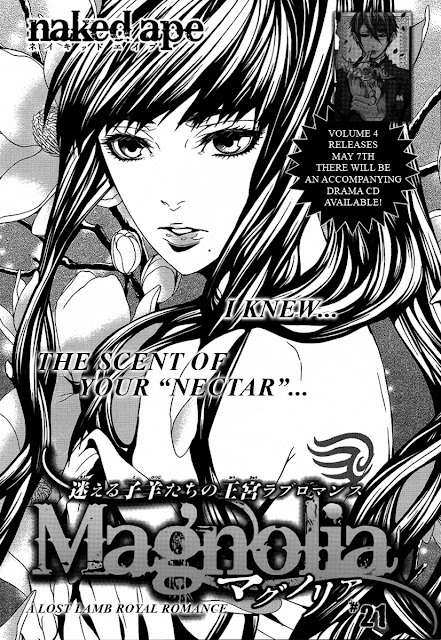 Also, please support Omari's Sister by purchasing some of my magazine goodies and lightly used manga. The items are listed here. Not much to say here other than I thoroughly enjoyed this chapter and chapter 3 looks like it steps things up a notch. At last, a release!!! I can't believe that it's nearly been 2 weeks since we've released something. It's not for lack of doing anything. We've been quite busy. I myself had to prep a couple of projects for lettering before I get to this one-shot and last week I was nearly useless because RL made me depressed and sleepy. 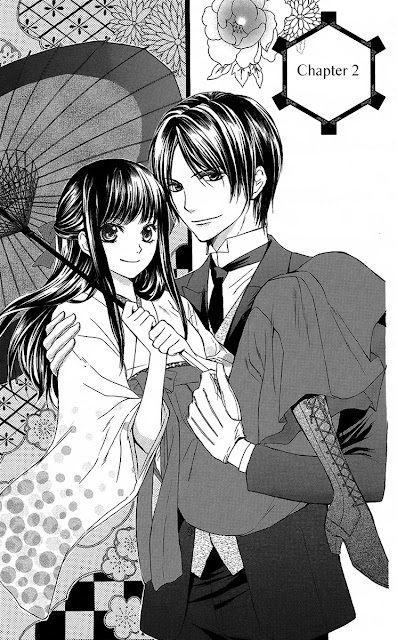 Anyhow, here's another one-shot from one of our favorite mangaka Yuu Toyota. This one is a quite bittersweet unlike the other one-shots. 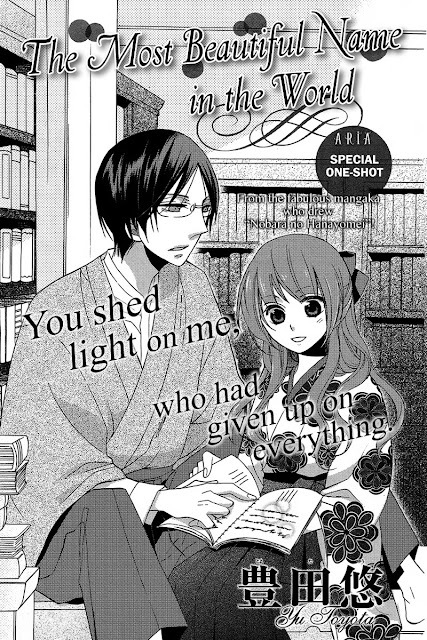 Still it's a lovely story and fits very well with her other one-shots. We are making a big push toward our 3rd anniversary in June! We intend to have a profusion of releases -- primarily the remaining one-shots from Kuro Lala and Shiro Lala. Due to this, we are in need of some additional help with our regular release and our anniversary releases. Here's a list of what we need! Proofreaders and QCers -- Proofreading the English for typos, syntax error, and grammar errors and making sure the letterer didn't leave out any text. You must be fluent in English. I would prefer volunteers with expertise in grammar, but if you are eager and are willing to put in an hour or two once or twice a week, that works for me. These are ongoing volunteer positions. We have enough volunteers for now. Thanks to those who e-mailed me. Translation QC -- Mid level Japanese knowledge is fine, though advanced level is preferred. I need folks to check the translations to make sure they are accurate. This is a temporary need for our anniversary releases, though you are welcomed to stay on after. Redraw Artist/Image Editors -- I need a couple of experienced redraw artists to work on Kuro Lala and Shiro Lala projects. You are welcome to stay on with the group after our anniversary. Typesetters/Letters -- I need a fearless typesetter or two who loves fonts and sound effects. This is also a temporary need for our anniversary, though you are welcome to stay on after. If you are interested in any of these volunteer positions, please contact me, Kuroneko003, via the contact link at the top of the right hand column of this blog. Haha! I can't believe we don't need translators. I'm so grateful to our wonderful translators for the help they provide. Though, if you are burning to translate for Omari's Sister, we will definitely find something for you to do :). There are a few other projects that could get done, but I'm going to be conservative because I lost last week due to real-life stress. Wow! March went by quickly! I think we are getting into our new groove and I think we expect 6 - 8 releases per month, down from an average of 10. Anyhow...here are some statistics for the month of March! US (CA, NY, MA, TX, FL) -- We had visitors from all 50 states!